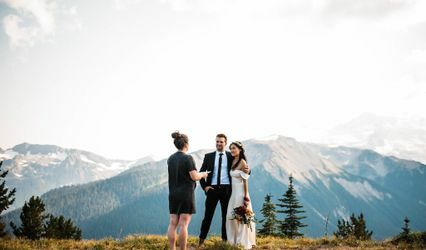 No doubt you have many exciting ideas about how you want your wedding to LOOK: the setting, your attire, the decor -- but what words do you want your family and friends to hear that day? 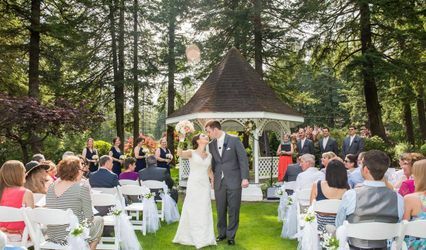 How do you want your wedding to BE? Solemn? Playful? Sacred? Serene? Let me help you say just the right thing. I'm Marky Kelly, a licensed minister who takes time to find out about you. 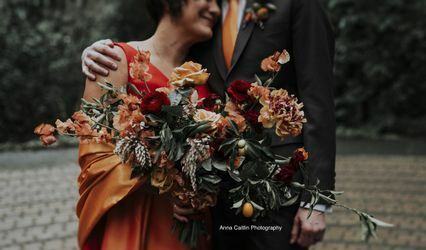 Together we can collaborate to design your ideal ceremony, one which gives you and those who celebrate with you a true sense of your decision to share life's journey. Couples who want to blend elements of different faiths, who have unusual beliefs, or a secular/humanist orientation to life, are welcome to meet with me on a no-cost, no-obligation basis. I can come to your home if you live in the Portland, Oregon area; we can also meet at another convenient location, or over the phone. 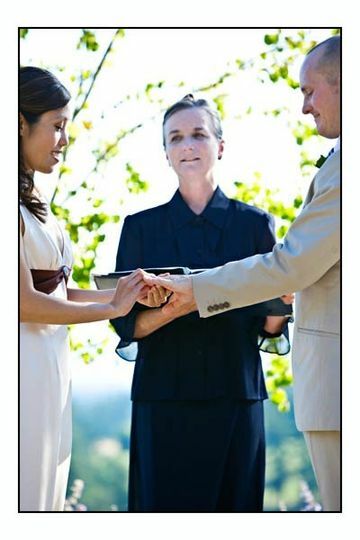 Learn more at officiant.tel and we'll get started. Please bring your own ceremony ideas as well! Together we can find meaningful words for you and others to hear -- words which reflect who you are and how you want to express your decision to share your lives with one another. My work is to ensure that your faith traditions (and non-traditions) are honored. This spiritual "non-focus" allows for a full range of expression: from stately and measured to informal and conversational -- from scripted to spontaneous. The choice is yours. Discover what you want -- then say it to those who've come to celebrate with you. 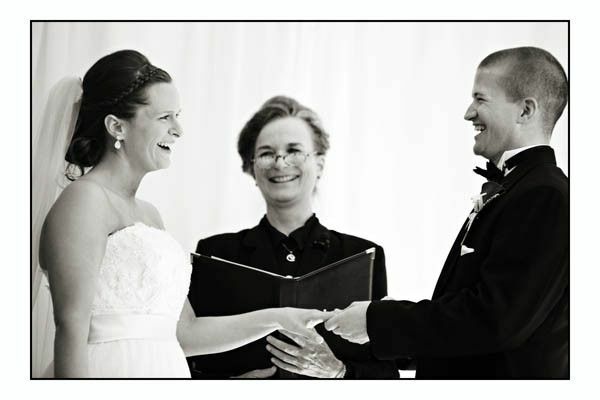 Marky truly made our ceremony what it was because of her stellar delivery, charm and poise. She was so helpful in sending us samples and helping us create our perfect ceremony. Everyone was raving about her after wards and thought she was simply the best. She was! One of our guests came up to us and said how touched they were by the ceremony and I was so moved. The ceremony was something we did for us, with Marky's help, the rest of the night was planned totally for our guests, and they so enjoyed the ceremony because of Marky's help planning and perfect delivery. 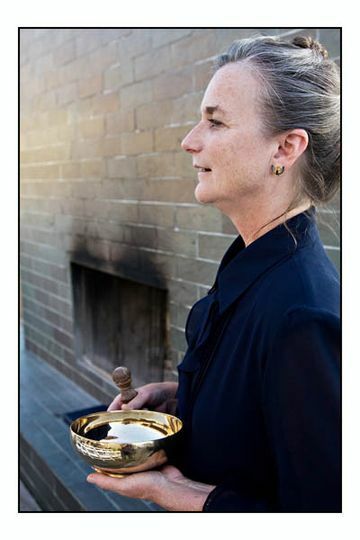 We were so grateful to have her officiate our day. 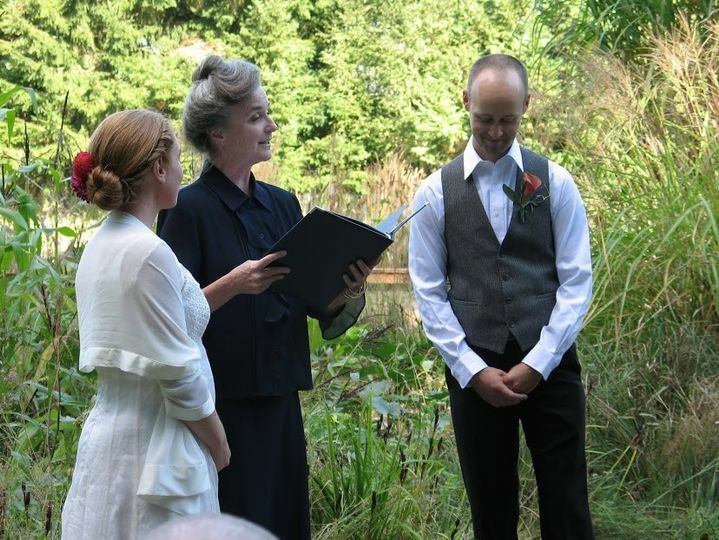 Marky from Custom Ceremonies was a great Officiant. She got to know us and helped us craft something that was truly unique and special to us. She totally respected all of our preferences and was more than happy to come up with ideas to make the ceremony exactly what we wanted. She had a wealth of information including readings, vows, ring exchanges, etc that we were able to look at while decided what we wanted. 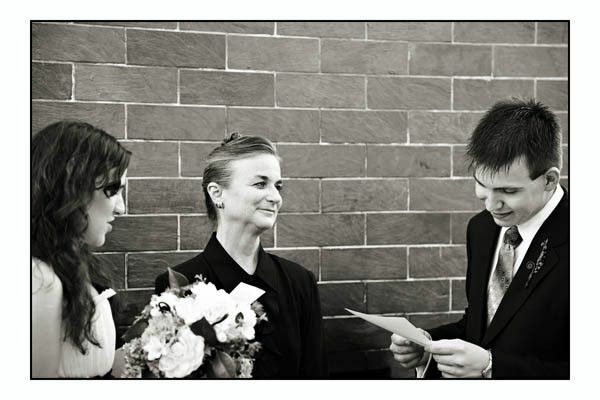 Our ceremony was fun, poignant, serious and silly- all of what we wanted- and her delivery was great. People loved her and the ceremony, and we're still hearing good things about the ceremony. My one regret- that we didn't videotape the ceremony! Reading the text of it just isn't the same as hearing her deliver it!